Hey everyone! 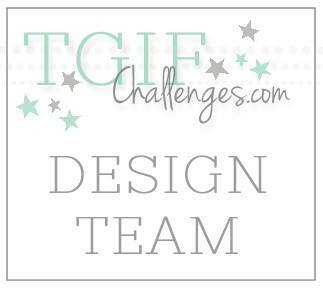 It is time for the first TGIF Challenge! 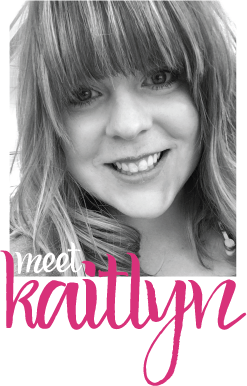 I am super excited to be apart of this new challenge blog. The design team is AMAZING! I'm not even exaggerating when I saw that. Personally, I have been loving the challenges. There is a wide variety that I think you will love too. The first challenge is a color challenge - my favorite kind of challenge! The only guidelines to this challenge is that the project must use Crushed Curry, Calypso Coral, and Pool Party. It can be a card, a scrapbook page, or anything else you can imagine! I was in need of some treat packages last week and I started with these colors. I was making multiples of this treat so I wanted something that would be fast, and this was. 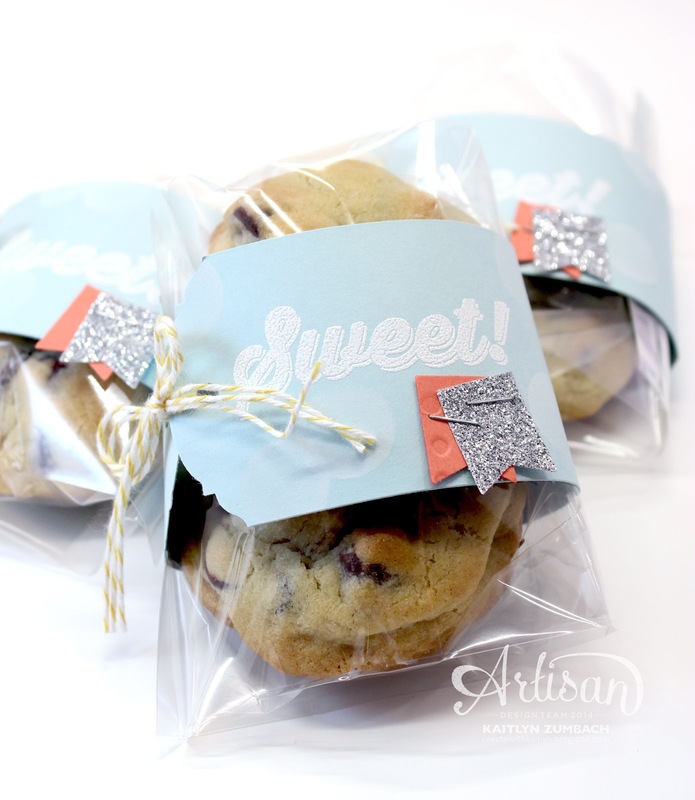 I simply made a Pool Party belly band with the Ornate Tag Topper Punch to wrap around a bag with some cookies in it. The Crushed Curry Baker's Twine holds the two ends of the band tightly together. The "Sweet!" comes from the Bravo Stamp Set and was more than perfect! I used a Sponge Dauber and White Craft Ink to create white circles on the belly band for a really soft bokeh effect. A couple of quick banners finished the project of nicely and got in a touch of Calypso Coral. I really encourage you to participate in the challenge. I think you will have a lot of fun! So head on over to the TGIF Challenges, see what the other designers have created, and take on the challenge for yourself! Yummy! Can you send us the cookies so that we can get a better look at the treat bag as we dunk them in milk? Lol. I'm a sucker for some chocolate chip cookies and them sure look mighty fresh! I can send you some cookies, but they might not be so fresh once they cross the country. I'm not going to lie, they are the best chocolate chip cookies! YUMMY....makes me hungry!!! Lovely design for this NEW challenge, congrats and good luck on this NEW creative venture!!! 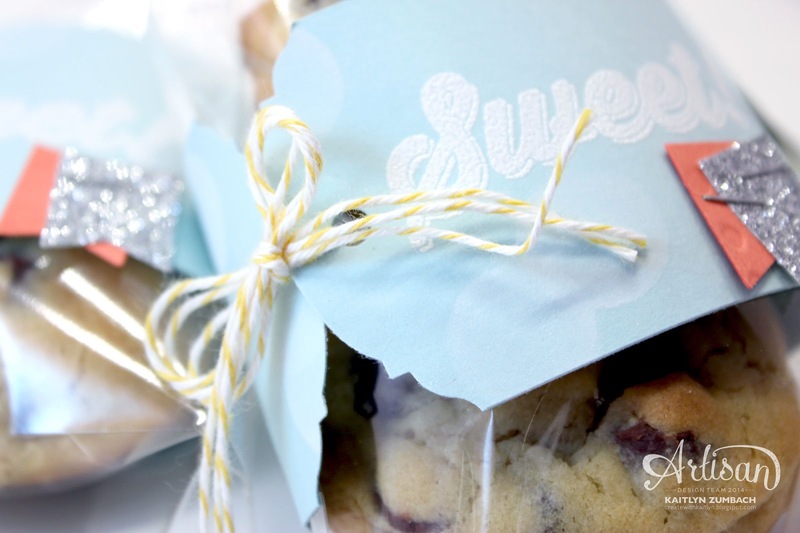 what a fun idea for a treat wrap! !